Worship Arts at Argyle includes music, drama, dance, visual arts, and the technical services to support and showcase them all. Our Worship Choir and Praise Team lead worship. The Worship Choir, made up of adults and high school students, is not auditioned. We ask only a heart for God, faithfulness attending worship gatherings and rehearsals, and personal preparation. The Praise Team is drawn from faithful members of the Worship Choir who have solo quality voices and can read music. They are auditioned. For more information or to arrange an audition, contact Rick Painter. Our Praise Band is a Rock Band With Horns. Attendance at rehearsals and sound check, and personal preparation are vital. The Praise Band is auditioned. Contact Stan Stufflebeam for information or to arrange an audition. The Drama Team prepares and presents quality sketches to enhance the themes of our worship experiences. We aim to be funny, relevant, and prepare people to hear the message. Contact Anita Sullivan or Sherri Travis for information or to arrange an audition. Our Dance Team's passion is to bring glory to God through expressive dance and worship. We want to honor and glorify the Lord through the wonderful gift of dance. The team practices under the direction of Sherri Travis. Contact her for more information. The Production Team is a vital part of our worship experience. They provide quality sound, lights, video, projection and computer graphics for worship, concerts and special events. They make the magic happen. There are many opportunities for dependable people willing to learn. Contact Ken Krantz or Rick Painter for more information. 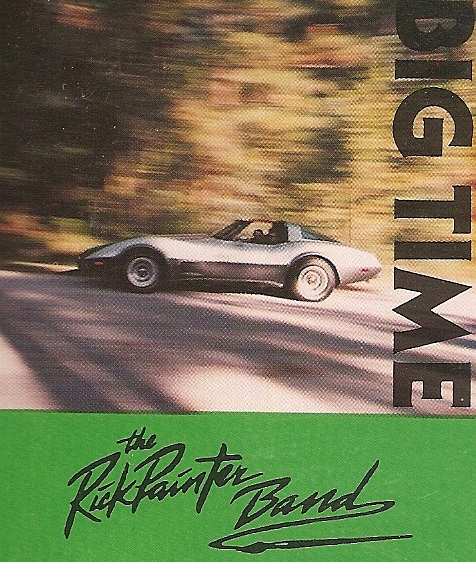 Enjoy the sounds of The Rick Painter Band.